Þú ert að skoða viðburð frá árinu 2018. Bea Szenfeld is an internationally acclaimed Swedish fashion designer and a key speaker at this years DesignTalks. 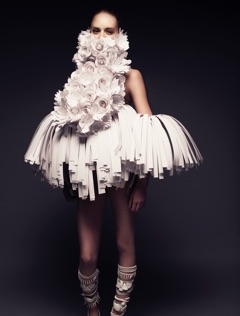 Her experimental designs and sculptural paper garments, who push the boundaries of contemporary fashion, will be on display at the Icelandic Design Centre during DesignMarch.